Students changed the future of SIU in 2009 when they initiated the Green Fee, which equates to approximately $10 per semester, depending on total credit hours. It was approved by 73% of students who voted in a campus wide referendum. On May 7, 2009 the SIU Board of Trustees unanimously passed the fee. It provides a regularized source of funding for on-campus sustainability projects. The Sustainability Council was formed to make campus-wide recommendations concerning sustainability and allocate Green Fund revenue (generated by the Green Fee). The Sustainability Council is run by students, faculty, and staff. 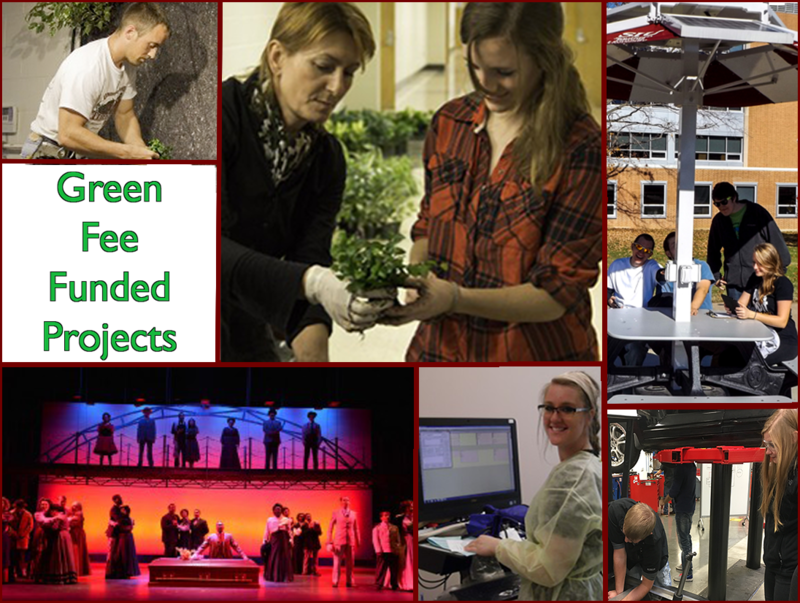 Click here to learn how YOU can impact sustainability at SIU. Through the Green Fund, the Recreation Center installed water bottle fill stations to reduce the number of plastic bottles used and thrown away at the Rec. In the last three semesters, these stations have saved 215,000 bottles…and counting! If your group, class, or organization would be interested in hearing more about the Green Fund and SIU Sustainability, please contact us to schedule a presentation or discussion.